Nothing in the language of the 2017 Commonwealth budget was exceptional by Australian standards. Treasurer Scott Morrison stood in parliament and announced what he described as a ‘fair and responsible path back to a balanced budget’, followed by an optimistic account of global macroeconomic conditions, a happy assurance that surpluses would be achieved in years to come, a brief panegyric of the virtues of small business, followed by a list of infrastructure projects to be built near marginal electorates. Nonetheless, the 2017 budget is likely to be seen as one of the most significant in Australian history. In a very real way, the budget bills that Morrison announced can be said to cap not the era of economic reform (Australian governments have long given up serious market driven reform and privatisation), but an era where at least one side of politics was offering any ideological or intellectual support for free market policies. There have been disappointing budgets before, of course, and disappointing budgets from Liberal governments. But there are two features of the 2017 budget that make it significantly different from the disappointments that have gone before: the bank tax and the increase in the Medicare levy to fund the National Disability Insurance Scheme. The first is a punitive, distortionary, arbitrary, and incoherent fiscal attack on an unpopular but absolutely vital economic sector. The second is a broad based tax increase to finance a new social service that seems more like Whitlam-era public policy. The bank tax is most striking because it is almost entirely disconnected from any explicit policy rationale. The complete argument for the bank tax Morrison presented on budget night was this: it ‘represents an additional and fair contribution from our major banks, is similar to measures imposed in other advanced countries, and will even up the playing field for smaller banks.’ In other words, it is ‘fair’, other countries have done it, and it will cut the big banks down to size. Since budget night advocates of the tax have been trying to retrofit justifications to the proposal: arguing that it is a payment for deposit insurance or the government’s implicit too-big-to-fail protection. But the new bank tax does not even pretend to be pegged to the value of any implicit government guarantee. The government just wants money, and banks are where money is. Of course, governments have always looked to the banks for money. Arbitrary, punitive taxation is hardly unprecedented. But we are not living in just any historical moment, in any country. Australia is one of the richest, freest and most open countries in the world, the beneficiary of three decades of economic reform — reform that sought to reduce the number of arbitrary, punitive and counterproductive taxes and regulations on the industries central to our wealth. The era of economic reform is typically said to have begun in 1983 and ended in 1993 or 2000. It kicked off with Paul Keating’s floating of the dollar, from which so many other reforms had to flow. It ended either with the Fightback! election loss, or the introduction of the GST by the Howard government. But of course no policy reform movement comes from nothing and disappears immediately without leaving a shadow. Political interest in market reform survived the reforms themselves. The Abbott government’s 2014 Commission of Audit remains an impressively radical and ambitious document. Likewise, the ideas of market reform significantly predate the Hawke government. The floating of the dollar and the subsequent liberalisation of banking would not have been possible had the Fraser government not commissioned the Campbell inquiry into the Australian financial system in 1978, and directed it to develop recommendations consistent with ‘the Government’s free enterprise objectives’. And those objectives did not come from nowhere. Malcolm Fraser himself might have been a reluctant free marketeer but the Fraser government was starting to feel the ideological heat from the Dries within its ranks. The sense of a sharp division between the reform period and the 2017 budget is in part because Morrison and Malcolm Turnbull have chosen totarget, of all sectors, banks — the high ground of market reform for half a century. Yet by the time of the Campbell committee, economic liberalisation had been a pitched battle in Australian politics for more than a decade. The truly pivotal ideological moment was the appointment of Alf Rattigan as chair of the Tariff Board in 1963. Rattigan, who had been assumed at that time to be a quiet, unassuming and pragmatic bureaucrat, waged a long running war against Australia’s high tariff regime from his Tariff Board post. Working with sympathetic and economic literate journalists like Maxwell Newton, Max Walsh, Alan Wood, P. P. McGuiness, Tony Thomas and Ken Davidson, as well as parliamentarians like the legendary maverick Bert Kelly, Rattigan made tariffs and trade a central political issue, redefining the terms of Australian policy debate, and, over time, creating the divide between those who wanted to reduce the government’s reach over the economy and those who wanted to maintain the status quo. It is often forgotten how this division shaped the bitterly personal contests between John McEwen, John Gorton and William McMahon. This convoluted battle was focused as much on Australia’s tariff regime as anything else. In the 1966 election, a group of woolgrowers and graziers created the free trade lobby, the Basic Industries Group. Although it wished not to harm the Coalition and campaigned only in a few safe seats, it nearly tore the Coalition apart, creating a divide between Liberal free traders like McMahon and the protectionist McEwen. Maxwell Newton, who had been editor of The Australian Financial Review and founding editor of The Australian, used the small trade newsletters he ran in the late 1960s to conduct what the journalist Alan Reid described as a ‘free wheeling political vendetta’ against McEwen on the issue of the tariff. The tariff contest burbled away in the background of the Liberal Party and the conservative movement more generally during the Whitlam years. Milton Friedman came to Australia in 1975, and Friedrich Hayek visited the year after that. By the time the Society of Modest Members — the group of current and former state and federal MPs dedicated to market reform — had its first meeting in 1981, the free market insurgency had been long established. The ideas on which the Modest Members pinned their hopes had been the source of bitter division in the Coalition for a decade and a half. The origin of the victory of market economics over technocratic social democracy dates further than even the most senior of our press gallery journalists. Yet with Morrison’s budget, that victory seems to have expired. Market liberalism has gone through cycles of decline and resurgence before. Historical perspective helps because it is easy in the current political environment to personalise what is happening: to blame Tony Abbott or Malcolm Turnbull, or any other constellation of political leadership. It is certainly the case that Australia has been poorly served for the last decade. But the leadership comes from the political class itself; they provide the pool from which the leader is chosen and they have the votes. Every prime minister, even the most disappointing, had, at one stage, the endorsement of majority in their party room. The Liberal Party has been severed from its base — the core voters which support it, raise money for it, man booths for it, and generally give it social force — and has not been rewarded with national popularity. The Liberal government has tried to echo the Labor Party on notions of ‘fairness’, but why would you buy Liberal fairness when you can buy Labor’s real thing? If trying to reduce inequality by taxing the rich is desirable, why vote Coalition? If the banks need to be punished, why not support the parties that really believe it? Opponents of reform to section 18C of the Racial Discrimination Act have repeatedly argued that the fight for freedom of speech is a ‘distraction’, and that the Coalition government should be allowed to concentrate on economic reform. But now it seems that the government has given up on both free speech and lower taxes — civil liberties and market economics go hand in hand, and the government seems uninterested in both. The decline of the Liberal Party, and to a lesser extent the Liberal-National Coalition, into a shadow of its opponents is a sign of exhaustion in the centre-right political class. It also reflects a failure to revitalise free market ideas — and liberalism more generally — decades after the age of Margaret Thatcher and Ronald Reagan. The window for ‘reasonable’ policy ideas in Australia is remarkably narrow and parochial. No government wants to be caught stepping even slightly outside the thin band of mainstream policy ideas. Canadian income tax rates are indexed to inflation, eliminating the problem of inflation-induced bracket creep. Yet it would be seen as radical and unrealistic in Australia to propose anything of the sort, even though tax rate indexation has successfully worked overseas and was trialled in Australia under the Fraser government. The unwillingness to puncture some of these sureties, to develop, legitimate and push through policy in the face of opposition, and to seriously challenge the status quo has left Australia’s policy regime stagnant and fragile. Market liberalism arose in just this sort of historical moment, when the Keynesian policies of the mid-century exhausted themselves, unable to provide answers to the economic decline throughout the developed world. Is market liberalism now exhausted too? Certainly parties that profess market liberalism seem to be tired of pursuing free market policies. We do not believe in untrammelled free markets. We reject the cult of selfish individualism. We abhor social division, injustice, unfairness and inequality. We see rigid dogma and ideology not just as needless but dangerous. But far from rejecting the caricature, this seems to reinforce it. Who, after all, believes in ‘untrammelled free markets’? Even the most vigorous anarcho-capitalist believes that markets are ‘trammelled’ by the constraints of norms, values and human-made institutions. If there is a cult of selfish individualism, does it have any members? May claims to be distancing the Conservatives from some sort of spartan Thatcherism but the frivolous nature of this attempt only underpins the impression that ‘May-ism’ is just unmoored from any philosophical foundation. Against this, the appeal of a Jeremy Corbyn — whose public persona is inseparable from his deeply held political views — is obvious. Market liberalism looks slightly better across the Atlantic but even in the United States it is in a bad way. The Trump administration’s red tape reduction program, ambitious tax reform, and budget proposals look exciting — if they can be accomplished. Withdrawing from the Paris Agreement is deeply symbolic, but needs to be married with specific policies that roll back the renewable energy labyrinth put in place by the Obama administration. Otherwise, Donald Trump’s explicitly anti-trade position undercuts one of the founding principles of market liberalism. Seen in this context, the exhaustion of liberalism in Australia is hardly surprising — it’s exhausted everywhere. practically all shades of thought are committed to some form of Government activity in the economic sphere, whether it be wage regulation or assistance to immigration, criticism of the policy of laissez faire is unnecessary. 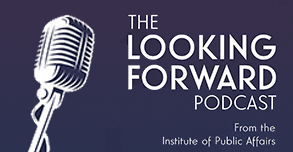 The Institute of Public Affairs was founded fourteen years later, and half a century later the idea that we needed to introduce competition and markets into our stagnant economy was a bipartisan view. Long before this year’s budget it has been obvious that our politicians had declared free market ideas as empty platitudes; a period of time in the wilderness will allow for the intellectual rebuilding of centre-right politics. In fact, the times suit the ideas of free markets and individual liberty more than our political parties realise or acknowledge. The IPA has spelt out at length the tax and red tape challenges holding back the Australian economy — nothing the Labor Party or the newly centrist Coalition are currently proposing have a hope of tackling those two fundamental economic problems. If the retreat of market liberalism globally has the effect it had in earlier times — greater macroeconomic instability and uncertainty — Australia will need a resilient and adaptable economy to suit. Other trends demand a revitalised liberalism: the spread of automation from the industrial sector to the high-end service sector, the increasing demand for personal control over healthcare, the move of global economic power from the West to Asia. Malcolm Turnbull failed to turn his 2016 innovation agenda into anything more than slogans, but like it or not, this is where the big changes are going to come. Doubling down on the twentieth century welfare and planning economic model is not going to help the losers from those changes, nor will it ensure the benefits are distributed widely. The task now is an intellectual one — to build a new liberalism, a neo-neoliberalism, out of the failures of centre-right politics. Is reform hopeless in an era of disillusion? Around 23 per cent of Australians gave their primary vote to minor parties and independents at the July federal election. This is the highest number since the formation of the Liberal Party and the three party system at the end of the Second World War. When political historians look back on our era it is unlikely they will focus on the machinations that have seen prime ministers spilled and governments rolled. Rather, they are likely to see the most important trends of our time and the growing popular disillusion with the major parties — indeed, the growing disillusion with the entire political class. It’s no surprise that in the privacy of the ballot box, more and more Australians are voting for none-of-the-above. This trend is not unique to Australia. In the United States, the support for Donald Trump in the Republican Party and Bernie Sanders in the Democrats shows that even party loyalists are tired of what the mainstream is offering up. In the United Kingdom, Jeremy Corbyn’s ascent to the Labour leadership and Brexit — the successful referendum to withdraw from the European Union — was driven by a similar anger. This is the politics of our time. It’s not about individual politicians — it’s no more about the individual characters, even policy positions of Nick Xenophon or Pauline Hanson or Derryn Hinch, no more than it is about Donald Trump as an individual or Bernie Sanders or Jeremy Corbyn. It’s about what has driven so many voters in the richest, most stable liberal democracies that human history has ever known to reject the political mainstream. A democratic political system is based on trust. Each party trusts that the other will accept the result of an election that does not go in their favour. This is a trust we take for granted in a country like Australia but a very real challenge for weak democracies in the third world. But there are other layers of trust. We the voters trust that having elected a party it will govern in a way that resembles that which it promised before the election. In a representative democracy no government is obliged to fulfil its campaign promises — it does so by convention and fear that it will be punished by voters for failing to do so. That promises are often broken is one of the long-standing norms of democratic politics. One 2009 survey of studies into election promises found that political parties in Europe and the United States kept an average of 67 per cent of their promises when in government. This number is if anything remarkably high. But in the Australian context what has mattered in recent years is not the number of promises broken or fulfilled, but how those achievements or failures have reflected in the perception of the government that promised them. Take Julia Gillard’s infamous election-eve statement that there would be ’no carbon tax under a government I lead’. This was followed in government by a fixed price emissions trading scheme that all commentators on the left and right admitted was functionally equivalent of a carbon tax. Were many voters duped into voting Labor because of the specifics of a fixed price emissions scheme, and subsequently angry that they had voted under false pretences? This seems unlikely. But it spoke to a betrayal of the values which the Labor party had presented in 2010. Before the election, Gillard had punted the divisive issue of an emissions trading scheme to the ‘citizen’s assembly’ — 150 ordinary Australians who would listen to experts on climate change and what to do about it, and provide recommendations to the government. Labor’s deal with the Greens to push through a carbon tax immediately not only reversed the go-slow approach but it gave the impression of a vastly different Labor government to that which had been cultivated during the campaign. Broken promises only hurt when they speak to a party’s overall identity. Likewise, Tony Abbott’s decision not to pursue his promised repeal of section 18C of the Racial Discrimination Act has been a running sore on the Coalition’s time in power because it presented, for the government’s supporters, a rejection of the ambitions of a centre-right philosophical resurgence. Section 18C is not the be all or end all of liberal policy, or even of the threats to freedom of speech in Australia. But its promise sent a powerful signal that the tide could be turned towards liberty, and that a mainstream party was able and willing to make that change. When Abbott abandoned the promise, he undermined the vision of liberal-conservative government he had cultivated in opposition. The Coalition surrendered the very ‘Freedom Wars’ it had declared. It must have been somewhat to their horror that Malcolm Turnbull and Scott Morrison spent the first half of their eight-week election campaign talking about their changes to superannuation. Superannuation stung them for the same reasons that the carbon tax stung Julia Gillard and 18C stung Tony Abbott. Repeatedly throughout the Coalition’s term in government it rejected the possibility of increasing taxes on super. Tony Abbott had ruled out no changes to superannuation in the 2013 term ‘or the next’. Scott Morrison was publicly opposed to changes as recently as November 2015. The Coalition was gearing up for an argument that pitted the high taxing Labor party against the low taxing, small government Liberal-Nationals. Their error was in part strategic — to announce an extremely complicated policy that harms self-funded retirees, many of whom would be expected to be Liberal voters was always going to be fraught — but it was a serious policy mistake as well. It was a breach of faith that recalled the deficit levy in 2014, demonstrating that the Coalition was happy to whack its own supporters for expediency. Trust, indeed, is fundamental to the superannuation system itself. Superannuation has long been presented as a secure foundation for savings. But now the Coalition has established that the Commonwealth sees it as a money pot which can be dipped into for fiscal or political expediency. Having changed the rules this time, savers will rightly believe the rules can be changed again. This is the sort of policy manoeuvre that erodes faith in the public policy system as a whole. In his 2016 book The Trust Deficit, Sam Crosby, executive director of the Labor leaning think tank the McKell Institute, points out that voters who do not trust that governments will act in their interests will vote for non-incumbent and third party candidates. Trust — as nebulous as it is — is the bedrock of political power in a democracy. And the major parties have been systematically eroding it, by governing contrary to what people thought they were voting for. Kevin Rudd promised fiscal conservatism, and gave us the record stimulus spending. Julia Gillard promised a sober approach to climate change policy and gave us the carbon tax. Tony Abbott promised a slower, more adult government than Labor and could not live up to that. Malcolm Turnbull promised us a new disciplined approach to economic management, and gave us six months of policy confusion, a tax increase, and an eight-week election. The minor party vote is a reflection on the failures of the major parties. Australia’s fiscal and economic problems demands serious reform. In 2016-17, the Australian government will spend, as a percentage of GDP, as much as it did when Kevin Rudd was stimulating the economy. In other words, the Commonwealth is at a permanent emergency level of spending. Furthermore, our policy settings seem deliberately geared against the needed economic growth that might bring the budget back to surplus. For instance, Institute of Public Affairs calculations have found that red tape — that is, unnecessary and counterproductive regulation — costs the Australian economy $176 billion a year. There are nearly 500 separate government bodies at the Commonwealth level involved in the imposition, administration and design of red tape. Australia has fewer taxpayers supporting more people who are dependent on the state. As the Weekend Australian pointed out in May 2016, if you add the 4.48 million people who are wholly dependent on federal government pensions, allowances and parenting payments to the 1.89 million people who are public sector employees, that means 44 per cent of Australians draw their livelihood from the non-productive sector. This is not sustainable — certainly if we are to maintain the high living standards we expect. Whether they like it or not, the Turnbull government is going to have to reckon with these deep structural problems in the Australian economy. Yet the eroded trust between population and politician is going to make it extremely hard to do so. That lack of trust affects the possibility of reform in two ways. First, it is not clear that the minor party and independents that have been thrown up by the anti-major vote are capable of reckoning with this problem. Neither Pauline Hanson nor Nick Xenophon — to take the two most prominent winners from 2016 — have an appreciation of the need for drastic economic reform. If the Coalition acquiesced to some of their policy positions — such as subsidies for private firms and protectionism — our economy would be in a substantially worse shape than it is now. Second, and more fundamentally, reformers need the trust of the voting population in order to push major reforms through. Complex reform needs explanation, and if the public believes that explanation is not done in good faith they will reject it. No matter how certain they are of their course, few governments can swim against the tide of public opinion indefinitely. This looks like a pessimistic story but it is not. One of the arguments that came out of the Gillard years was that the era of reform was over. Paul Kelly, most influentially, argued that the political system had evolved a few key features that made reform if not impossible, then improbable. In his argument, the faster pace of political life (encapsulated by the unending panel shows of 24-hour news networks and the anarchic, unpredictable world of social media) along with the power of sectional interests (here he is thinking of the mining industry’s campaign against Labor’s mining tax) are structural barriers to reform. There is no question that the pace of political life has changed. It’s unclear how this selects against reform — more venues for political commentary does not imply the population is more interested in politics than they were in the past. Kelly’s concern with ‘sectional’ interests is also misplaced. We are in an era where old power blocs are breaking down, rather than consolidating their power — at no time in history have the old industrial empires (media, unions, corporations) been under as much pressure and contestation as today. In fact, Kelly’s argument would be more convincing if he had traced the opposite argument: getting through political reform is no longer a matter of a few handshakes between unions and corporate leaders. The trust deficit is in part a reaction to that cosy, conspiratorial style of politics. Seen through this light, there’s a clearly undemocratic thread running through complaints that minor parties make reform impossible. The criticism that non-major parties are ‘populist’ is a bizarre complaint in a democracy where voting is supposed to aggregate the popular preferences of the masses. The nostalgia for political moves like the Hawke government’s Accord is a nostalgia for government by handshake rather than popular consent. Political strategists advise governments to shirk reform because it is unpopular. It is true that John Howard took a GST to an election, explained the need for reform clearly and comprehensively, and nearly lost. But he pushed the policy through parliament after that election, and the GST is widely seen as the cap on the reform era. By contrast, Malcolm Turnbull took very little to the 2016 election — failing to explain either his superannuation tax increase or his corporate tax reduction — and nearly lost. Howard left 1998 empowered, despite the election being a close run thing. Turnbull looks wounded from his 2016 near loss. Reform is hard to argue for. But if we are to tackle the substantial economic problems facing the Australian economy, the focus will have to be establishing a trust between the political class and the population they purport to represent. In the 176 page report into smoking produced by the Preventative Health Taskforce — which Labor used as a blueprint for plain packaging — cigars are mentioned just twice. Once, buried in a footnote to a graph showing declining smoking rates across blue and white collar groups; and once in a piece of draft legislation written not for Australia, but for the United Kingdom. The public health activists who wrote that report were interested in people who, they believed, had so little free will that colours and logos were enough to swing their decision of whether to smoke cheap cigarettes. Premium cigars — the sort that sell in Australia for upwards of $30-$50 for a single cigar — are a luxury product. The consumers of premium cigars are highly informed about what they are buying. The cigars have to be carefully stored in carefully calibrated humidors that replicate the humid conditions of the countries in which the tobacco is grown — a dried cigar tastes burned and worthless, and bringing a single cigar back to life can take days. The stereotype of the addicted and helpless consumer that has driven so much anti-smoking policy does not apply to cigar smokers. They are a special consumption good — an indulgence. Cigar manufacturers like to say their products are part of the special moments in the lives of their customers. They’re for celebrations or contemplation. Few people do, even could, smoke a cigar daily. When we talk about cigar consumption, we are not talking about a major health crisis for which extraordinary regulatory measures might be justified. Whether you are talking about cigarettes, cigars or pipe tobacco, all are addictive and all are harmful. Australia’s few cigar bars had closed thanks to state laws which banned indoor smoking. Now, with plain packaging, Australian cigar retailers are forced to strip the colourful bands on cigars and replace them with the drab, olive bands with the name of the cigar printed in a regulated font. On top of that, changes to the Tobacco Advertising Prohibition Act 1992 (implemented less than a year after plain packaging) prevent online retailers from showing almost any information about the cigars they are selling. The only legal information is a cigar’s name, price and country of origin. Online retailers are not allowed to show any details about a cigar’s flavour or characteristics — let alone images of the cigar. The flipside of being a luxury good is that branding is all important. Cigar aficionados talk about the aesthetics of the product as much as the flavour. Different regions prefer different aesthetics — European markets tend to prefer lighter coloured cigars, even though there is no discernible difference in taste. Cigar manufacturers tend to be family run down the generations. They are supposed to ‘taste’ of the region they come from, like good wine. The look and branding of the cigar is a big part of its pleasure. That isn’t something to be derided. The American writer Virginia Postel has argued compellingly that the ‘frivolous’ aesthetics of consumer goods are in fact extremely important and valued parts of the human experience. When the Gillard government replaced the highly stylised cigar bands with olive paper, they made it clear that to ‘make smoking history’ (the declared position of the Preventative Health Taskforce) was to deliberately go after a centuries-old human pleasure. While plain packaging of cigars may have been an afterthought, their eventual inclusion goes to the paternalistic heart of the policy itself. Plain packaging is not about helping people make better choices. It is about eliminating those choices. To make smoking history would be to end the cultivation and production of tobacco. Tobacco grows best in tropical locations and the best cigars come from countries that are both hot and humid. While Cuba has the international cultural cache for quality cigars, the real hub of premium cigar manufacturing is in the Dominican Republic. The Spanish speaking Dominican Republic is a case study in institutional stability — sharing half of the island of Hispaniola with the French speaking Haiti, it has relatively stable democratic institutions and an economy which grew at 7 per cent in 2015. Just an hour and a half flight from Miami, the Dominican economy is heavily reliant on the US economy and sustained by its two big export industries — mining, and tobacco, nearly 90 per cent of which is sold in the form of premium cigars. In other words, the Dominican Republic is a tobacco economy. There are 135,000 Dominicans cultivating, commercialising, processing, manufacturing and supplying tobacco, and the tobacco industry represents 1.3 per cent of the country’s GDP. Cuba has the cultural cache for hard-to-obtain premium cigars, thanks to the American trade embargo, but the Dominican Republic has 44 per cent of the market. So while it is rare that Australia and the Dominican Republic interact, Australia’s plain packaging legislation has brought the two countries into a fundamental conflict of interests. To eliminate brands from premium cigars is to threaten a substantial part of the Dominican Republic’s economy. Australia is — or was — only a small part of the Dominican tobacco market. But the introduction of this Australian pioneered paternalism in larger economies across the world (the United Kingdom, for example, is set to introduce plain packaging this year) has made the Australian introduction a key policy contest. Market trades are mutually beneficial — benefi cial to the consumer of a good, and beneficial to the producer of a good. When governments ban or prevent those trades, both consumers and producers are harmed. The Dominican Republic is one of four countries arguing in front of a World Trade Organisation dispute resolution panel that Australia has restrained trade by eliminating the ability of cigar manufacturers to differentiate themselves and convey the premium nature of their products. The other countries are Honduras, our close neighbour Indonesia, and Cuba. (It ought to be embarrassing that we are contesting a restraint of trade case against a communist nation). More than forty other nations have joined the dispute as third parties. As many Australians would be aware, plain packaging has been upheld in the High Court — in its 2012 ruling, the court did not consider plain packaging to be a taking of intellectual property that would require compensation. In December 2015, the Australian government won a further dispute with Phillip Morris in a Hong Kong court pursuant to a 1993 trade agreement with Hong Kong by contesting that the court had jurisdiction. But the WTO case is the most substantial and long running case. A ruling is expected some time in mid-2016. WTO cases are rarely unambiguous wins or unambiguous losses for the parties contesting them. However, a loss for Australia would be politically complicated. WTO rulings are not binding, and the instinctive reaction of the Australian government might be to brush it aside. After all, Australians’ health must come first. But Australia benefits from the WTO framework — as an open, mid-sized economy highly integrated in world markets, we have a clear interest in ensuring other countries are open to trade, and comply with the agreed-to WTO rules. And where the previous two cases pitted Australia against a multinational tobacco firm, the WTO case has Australia against a group of developing nations. Of the four parties, the Dominican Republic is the most prosperous, and even then Australia’s GDP per capita is 11 times that of the small nation. Australia has argued that plain packaging is not discriminatory against trade — it applies to domestic and foreign tobacco products alike — and that it has been imposed to fulfil (in the words of the WTO’s Agreement on Technical Barriers to Trade) the ‘legitimate objective’ of the ‘protection of human health’. Fundamentally, the question at the WTO is the same one plain packaging faces domestically: does the elimination of branding advance human health? The developing nations argue it does not. The Australian government argues that it does. Both parties are working with a highly contested, limited evidence base created in the four years since plain packaging was introduced. Complicating this, the keeper of that underlying data — which is, of course, the Australian government — has an interest in the outcome. So has plain packaging worked? Whether a public policy has achieved its goal depends on how that goal is initially defined. The Tobacco Plain Packaging Act stated that its intention was to improve public health by discouraging smoking through the reduction of the appeal of tobacco products. Over the last few years, a series of graphs and data points have been released by the government to show that the policy has achieved this goal. Unfortunately, and despite assurances from the Australian government and the Australian public health lobby, that evidence is simply non-existent. There is a fundamental problem with any claim of the success of the policy — the sharp increases in tobacco excises introduced almost at the same time as the plain packaging legislation. This makes it hard to disentangle the effect of plain packaging from the effect of other anti-smoking measures. And it is fairly well agreed that excise hikes are the most effective — that is, punitive — way to reduce smoking rates. The latest effort to demonstrate that plain packaging has been a success was the February 2016 release of the government’s plain packaging Post-Implementation Review. The review featured an econometric regression that purported to show a sharp increase in the decline in smoking after the 2012 plain packaging changes. Smoking rates have been declining for decades. The policy question is whether any given intervention increases the rate that decline occurs. The underlying data which informs the review’s econometrics is — unsurprisingly — unavailable. But, using tools that can roughly extract the data from a graph, Davidson notes that the decline was steady after plain packaging, and has only increased in response to the huge boost to the excise a year later. The developing countries’ case against Australia rests on this question. And that means a big part of the economic growth of a Caribbean nation is hostage to how a panel of WTO technocrats assesses a highly contested, highly uncertain, politically tarnished and intellectually questionable econometric vignettes. Governments don’t like their legislative interventions to be questioned after the fact. By increasing the excise dramatically after introducing plain packaging, the Gillard government ensured that any answer to the question of whether or not plain packaging works is unlikely to ever meet a consensus. But however the WTO rules this year, the application of plain packaging to premium cigars is a revealing instance of regulatory overreach and consequences. A questionable health measure applied to a luxury product only enjoyed by informed consumers, that threatens the livelihood of thousands of workers in a developing country. Paternalism at home can mean job losses abroad. On Saturday 10 April 1954, Robert Menzies gave an after dinner speech to the Institute of Public Affairs. The event was a private one, held in Melbourne, and Menzies relished what he thought would be the ‘last opportunity’ to speak in ‘a humane and civilised fashion about the issues before this country’ before election day, which had been set for 29 May. (Menzies knew something his audience didn’t: three days later in Canberra he would announce the defection of the Soviet diplomat Vladimir Petrov, and the 1954 election would be consumed by the Petrov Affair). The full transcript of Menzies’ speech has now been reproduced for the first time on the IPA website and an extract is available in this edition of the IPA Review. It’s a casual but fascinating exploration of his ideas of the relationship between principle and pragmatism in politics. Fascinating for two reasons: first, it gives us a picture of Menzies as a politician and leader, and second, because it offers a guide to help a modern Coalition government navigate what Menzies saw as ‘the greatest problem in politics’. In Menzies’ view, the art of politics was discovering a path through which the principle can be made pragmatic. Expediency and philosophy have to work together. This was, unfortunately, a political relationship the late Abbott government was unable to forge. On two of its central challenges — fiscal policy and freedom of speech — neither necessary political compromise nor unabashed principle were allowed to flourish. Menzies’ speech gives us a clear reflection of the ethical trials of political decision-making that the new prime minister would be wise to consult. Malcolm Turnbull takes office at a time when the process of budget repair is sclerotic at best. The Commonwealth budget has still not recovered from the Global Financial Crisis and the decisions made by the Rudd government during those years. The Rudd and Gillard government established what seems to be a permanently higher spending pattern. Commonwealth government payments — that is, spending — as a percentage of GDP is 25.9 per cent in 2015-16, down only 0.1 percentage points from 26 per cent as it was when Kevin Rudd was launching his stimulus package. By the end of the Labor government’s time in power, spending declined to 24.1 per cent in 2012-13 — in part due to deliberate effort, in part from the recovery easing welfare rolls, and partly by some creative accounting. Yet this rollback was hopelessly incomplete. Wayne Swan made much of his belief that ‘If we are going to be Keynesians in the downturn, we have to be Keynesians on the way up again’, as he put it in a 2011 essay for the Fabian Society. Yet Swan never managed to achieve the ‘Keynesian’ budget balance which he repeatedly promised. This was partly because he could not commit to the necessary cuts, and partly because numerous policy decisions increased the spending burden on the Commonwealth budget. Indeed, Labor’s headline budget outlook was a lot worse than it looked on paper — many of their expensive new promises were to bite on the budget over the course of a decade, rather than in the next financial year. This is why the Institute of Public Affairs repeatedly urged the Rudd and Gillard government to bring the budget back to balance through spending cuts, and quickly. Governments should not assume that budget deficits will resolve themselves. Overspending, once established, is hard to reverse. Special interests protect the privileges that come with new spending programs. Voters respond badly when government programs are taken away. Politicians soon learn that spending cuts are more politically costly than spending increases are politically beneficial. Australia’s fiscal crisis is one on the spending side, not the revenue side. Of course any imbalance in a budget can be attributed to both income and expenditure, so this is partly a question of competing values — should government be larger, or smaller? But if Commonwealth government spending was at the level it was in the final years of the Howard government in 2006-07 and 2007-08, the budget would be in surplus today. Underpinning the arguments that Australia is suffering a revenue shortfall, is one myth that needs to be disposed of: the significance of the end of the mining boom for the budget. For the last few years we’ve been treated to regular news stories reporting the precipitous decline in the price of iron ore and the billions of dollars that decline will strip from government revenue. It is true that iron ore is sharply down from where it was under the Rudd and Gillard governments — in 2011, iron ore was pushing nearly US$200 per dry metric ton, whereas in October 2015 that price is now down to US$52. Yet the Howard government could only dream of such iron ore prices. The highest monthly price iron ore ever reached under Howard was US$36. The minerals market is not to blame for the budget’s problems. There are other reasons why Malcolm Turnbull and his new treasurer — Scott Morrison — ought to focus on government spending, rather than revenue, as they try to bring the budget back into balance. First: Australia is not a low taxing country, both relative to other countries and in an absolute sense. As the IPA’s Sinclair Davidson and Mikayla Novak have argued over many years, when the proper comparisons — including the inclusion of superannuation, the health insurance mandate, and workers compensation to ensure comparability with countries that have different enforced retirement savings schemes — are made with other OECD countries, Australia’s tax take at 34.3 per cent is higher than the OECD average of 33.7 per cent. Second: the government ought to be smaller than it is. A government which spends a third of the country’s GDP is spending that third unproductively. Perhaps by necessity — as public goods like courts and national defence have to be paid for — but we should not imagine that because taxpayer financed programs are necessary that they are well designed. The less tax Australians pay then the more Australians will have to spend and invest on things which suit their preferences, rather than the preferences of the political class. Joe Hockey can take some credit for launching a serious public debate about taxation when he released the tax discussion paper in March 2015. Turnbull and his Treasurer Scott Morrison have now picked up a tax inquiry process driven by Tony Abbott and Joe Hockey, which was in turn an attempt to turn the tax reform agenda away from Labor’s interest in higher taxes and towards the Coalition’s interest in lower taxes. Yet a budget crisis is a terrible time to conduct tax reform. Every incentive in the public service leads towards tax increases. It’s easy to see the hand of Treasury behind the curtain here. Treasury appears to be convinced that we are an under taxed nation both in relation to our demands for public spending and in relation to our trading partners. In a report published in October this year. the Productivity Commission became the first Australian government agency to admit that Australia’s tax take is higher than the OECD average once the proper comparisons are made. Yet Treasury still refuses to support this reasoning, allowing them to maintain the fiction that we are a low taxed, and, by implication, an insufficiently taxed, country. In our IPA Review article ‘Be like Gough’, published in August 2012 with John Roskam, we observed that neophyte ministers are susceptible to capture by their departments, particularly when adequate groundwork for policy development has not been done before a ministerial appointment. Treasury is both the most important department, and the most intellectually formidable (some high profile errors exposed by Sinclair Davidson notwithstanding). Scott Morrison has gained a reputation as a capable administrator and advocate for conservatism, but maintaining a distinctively free market vision against the prevailing winds of Treasury will be a challenge. It was a challenge that Joe Hockey unfortunately failed to surmount. Ever since he took the leadership, Malcolm Turnbull has been arguing that tax reform has to be ‘fair’ if it is to be successful. This is an inarguable truism. But fairness is a matter of perception and perspective. It is not a quantitative criterion. Reducing the top income tax bracket will be characterised as unfair if it is not explained how disproportionate the fiscal burden weighs on the top taxpayers. Corporate tax cuts might be perceived as unfair if it is not explained that the burden of the corporate tax is felt by workers, superannuation portfolios and economic growth more generally. That fairness is impressionistic rather than empirical should remind us that we’ve been here before. In fact the 2014 budget — on which Bill Shorten and the Labor Party hooked their focus on fairness — was specifically written to counter perceptions of unfairness. Hence the deficit levy—the 2 per cent tax increase levied on those earning $180,000 and above — in order to ‘share the pain’ of an apparently austere budget. As a concession to expediency, it was a plainly unsuccessful one. It appeared to do nothing to mitigate the charge of unfairness emanating from Labor and the left-wing press, and bumped the top marginal tax rate — when added to the Medicare levy — to 49 per cent. And of course from the perspective of principle, it was a clear violation of the Coalition’s support for lower taxes — not just Abbott’s campaign promise to have lower taxes, but the Liberal Party’s fundamental belief in a lower fiscal burden on the economy. There’s an intriguing detail in the first book published on the Abbott government after its demise, Battleground, by Peter van Onselen and Wayne Errington, that Turnbull, alongside Julie Bishop, opposed the deficit levy in the cabinet when it was proposed by Joe Hockey and Finance Minister Mathias Cormann. Yet since the spill, signs that the fairness debate was to be recontested on liberal — and Liberal — terms have been slim. Turnbull’s communications skills have been much praised. They need to be used to clear the cobwebs around fairness and fiscal policy that have built up since the 2014 budget. This is less a question of policy development and more a question of public philosophy. In this light, it was of real concern that the tax debate under the new Turnbull government so quickly turned to whether the GST should be increased from 10 per cent to 15 per cent. Consumption taxes are theoretically more efficient than many of the taxes which make up Commonwealth revenue. But efficiency is not the most important principle of taxation. The goal of the tax system in a free country should not be, in the words of Jean Baptiste Colbert (French Minister of Finances during the reign of King Louis XIV) ‘plucking the goose as to get the most feathers with the least hissing’. The government should not try to obscure how much it is extracting from taxpayers. The more fundamental problem with a GST rise is that there is little reason to believe that the tax system will emerge from any reform with a lower total burden on Australian taxpayers. It is certainly true that the possibility of a GST rise has been mentioned in relation to a possible income tax cut for the top marginal income bracket — a cut which is sorely overdue. But it is indicative that through leaks and briefings to journalists we have a very concrete idea of what a GST rise could constitute, but very little idea of the tax cuts that would be the reward for this GST bargain. A GST rise with income tax cuts pushed into the never-never would be no victory. It is possible to imagine a broad tax reform proposal that both reduces taxes and transitions the tax base from income onto less economically harmful consumption taxes. But seven years after the Rudd government established the Henry Review into taxation, that vision looks further away than ever. But politics is about momentum. Any suggestion of raising the GST should be stopped in its tracks as soon as possible. This will be a thoroughly Liberal Government. It will be a thoroughly Liberal Government committed to freedom, the individual and the market. But it would be hard for a government to be ‘thoroughly liberal’ without reinvigorating the Liberal Party’s ideological disposition towards freedom of speech. The Abbott government’s decision to break its promise to repeal or reform section 18C of the Racial Discrimination Act in August 2014 was a major event, both at a political and policy level. This — coming so soon after the deficit levy — dashed the optimism that many on the free market right had for the Abbott government’s ability to turn the tide towards individual rights and economic freedom. In public comments, Malcolm Turnbull has indicated that he is personally sympathetic to what has come to be known as the compromise position on section 18C — that is, the removal of the words ‘offend’ and ‘insult’ from section 18C’s prohibition on ‘offend, insult, humiliate and intimidate.’ As Morgan Begg points out in this issue of the IPA Review, this is the compromise position in Senator Bob Day’s Private Members’ Bill, currently before the parliament. Thus, without having to stand in front of the Institute of Public Affairs, as Abbott did, and promise the repeal of section 18C in its current form, Turnbull has already built himself a test on freedom of speech. If you stand on the basis of principle you may go wrong but you will never go far wrong. You may go wrong according to the current political judgement, but in the long run somebody will be heard to say, “That was right”. Ten years ago in September 2005, the Danish newspaper Jyllands-Posten published twelve cartoons and sparked what the Danish prime minister described as the worst crisis in Danish foreign policy since the Second World War. In his book, The Tyranny of Silence: How One Cartoon Ignited A Global Debate on the Future of Free Speech, Danish journalist Flemming Rose compellingly outlines what happened, and what the events meant for the fight for liberty in free and unfree countries. In 2005 Rose was the culture editor of Jyllands-Posten. He commissioned and published the cartoons in his section of the paper. And it was Rose who, more than anyone else, bore the brunt of the backlash — as well as being the most prominent defender of the decision to publish. First published in Denmark in 2010, his book was written at first to justify his actions and respond to critics. It has just been republished by the American free market think tank the Cato Institute, but developed into a longer discourse about free speech and censorship. The purpose of the cartoons was to take a position in favour of free expression, and to editorialise against self-censorship in Denmark. The Jyllands-Posten editorial team were interested in the fact that a Danish children’s author, Kåre Bluitgen, had only been able to get an illustrator for his book on the life of Muhammad if the illustrations were done anonymously. In the middle of a Danish debate on self-censorship, this was an opportunity for the paper to take a stand: not a stunt, or an experiment, but a statement of principles. Most strands of Islam are aniconic: that is, they oppose the depiction of images of their god and their Prophet Muhammad. Yet the question facing Jyllands-Posten was not whether Islam, as practiced in by Europe’s muslim migrant communities or the Islamic world, was aniconic. Rather it was whether the prohibition on depicting Muhammad was to be applied to non-Muslims in a non-Muslim country. Some potential illustrators for Bluitgen’s book had contacted Islamic religious and academic authorities in Denmark, who had given the project an all clear (at least one of those authorities, Rose notes, took a lead in the anti-cartoon reaction). The twelve cartoons were published on 30 September 2005. Not all of them depicted Muhammad. At least two caricatured Kåre Bluitgen, suggesting the whole affair was a publicity stunt. Another was of a school child going by the name of ‘Mohammed’ — implicitly mocking Jyllands-Posten. But the most provocative cartoons directly connected Muhammad with terrorism. One — possibly the most iconic — was a picture of Muhammad’s face with a lit bomb in his turban. On the bomb was the Islamic creed ‘shahadah’. Others cartoonists offered more neutral portraits. One showed a cartoonist looking over his shoulder as he nervously drew the Prophet — also a comment on the Jyllands-Posten commission about free speech. All the cartoons were printed around a comment piece by Rose discussing the cartoons’ publication as a statement against self-censorship and in defence of freedom of speech. In 2015 political backlashes are almost instantaneous. The cycle of outrage, counter-outrage and resolution can be completed within 24 hours. Ten years ago — that is, before social media drowned out the public sphere — political outrage took more time to build up. It was the international events that brought the crisis to a head. As part of their political campaign against the paper, the Danish imams had petitioned the ambassadors of Muslim countries in Denmark to raise the cartoons as a diplomatic issue with the Danish government. In October 2005, a diplomatic protest was lodged by the ambassadors of eleven countries, including Turkey, Saudi Arabia, Iran and Indonesia. Their protest was acknowledged by the Danish government. But the Prime Minister Anders Fogh Rasmussen, head of a centre-right coalition, affirmed the paper’s right to free expression. Feeling themselves unsupported, the imams decided to directly appeal to Middle Eastern governments. In December 2005, they travelled to Cairo armed with a dossier that included the cartoons. The imam’s dossier — all 43 pages of it — was probably the most inflammatory part of the entire affair. It included not just the cartoons and translations of Jyllands-Posten’s editorials on Islam and self-censorship, but other material as well. There were abusive letters which the imams said had been sent to Muslims in Denmark. There were clippings from other papers, images completely unrelated to Denmark and Jyllands-Posten, unsubstantiated and inaccurate claims about the relationship between Denmark and its Muslim community, and a host of other material designed specifically to rile up Muslim readers. According to the secretly recorded statement of one of the Danish clerics, the dossier was intended to ‘create a climate of hate against the newspaper, God willing’. In this, the dossier was a great success. The result of the fundamentally political decision to create a dossier that exaggerated and distorted the actions of Jyllands-Posten was devastating. Throughout February 2006 — more than four months after the publication of the cartoons — protests and riots erupted throughout the Muslim world. The targets of ire were not just symbols of Denmark but other countries whose newspapers either reprinted the cartoons or were generally presumed to be in league with the anti-Muslim sentiment contained within. The Danish embassy in Damascus was stormed. The European Union offices in Gaza were stormed. Riots occurred in Iraq, Afghanistan, and Pakistan. In Nigeria, protestors attacked and burned down local Christian churches. Some estimates suggest that globally 200 people lost their lives in the aftermath of the cartoons’ publication. In Denmark, Rose and the cartoonist Kurt Westergaard were the subject of numerous death threats and assassination plots. One particularly close call occurred when a Somali man invaded Westergaard’s home with an axe and a knife. Westergaard hid in a panic room until Danish police shot and wounded the man, who was linked to a radical Islamist group. Other plots disrupted include attempts to attack the offices of Jyllands-Posten — a disturbing foreshadowing of the devastating Charlie Hebdo attack earlier this year. The Danish cartoons crisis has, in light of subsequent events, taken on a deeper meaning. But in 2005 the political undercurrents of clerical aniconism seemed to be at the forefront. The Danish imams were playing Danish politics when they compiled their dossier of grievances. One cleric had been particularly incensed with Jyllands-Posten for publishing details of a sermon he had given in which he described women as the devil’s work. He saw the cartoons as an opportunity for some payback. Likewise, the governments of Saudi Arabia and Iran had their domestic audience in mind when they lodged their Danish protests. The violence emanated primarily from within Muslim countries and not from Muslim migrants in Denmark. Local riots always have local causes. Attacks on Christians in Muslim-majority countries were as much driven by local prejudices as anything else. In some countries — such as India and Pakistan — extremists used the existence of the cartoons as a way to destabilise domestic regimes. Other protests were sponsored by the governments of Iran and Syria to underline their own regimes’ religious piety. One notable aspect of the Danish crisis is the relationship between Jyllands-Posten’s decision to publish the cartoons and the blame laid by critics on the Danish government. How does a feature in an independent newspaper so quickly become a question of diplomacy between national governments? We are used to political leaders sharing their views on the non-political scandals of the hour, but the Danish imams and the eleven Muslim governments were after more than just a side-comment by Prime Minister Rasmussen. They wanted a legal and political response. The principle of a free press not subject to direct controls by the government of the day is a liberal one. Yet this liberal idea is not internationally unanimous. The countries that protested so vigorously against the cartoons do not share the ethos of the free press. Saudi Arabia, Egypt, Pakistan, Iran impose the death penalty for blasphemy. Turkey, Indonesia, Libya and Morocco also impose judicial punishment for blasphemy. Perhaps what the world saw in 2005 and 2006 was an international clash between two societies. The virtues of free expression were lost in translation. And yet this explanation is too simple. Freedom of speech is hardly an overriding concern in the West either. One need only look at the repeated legal actions taken against Charlie Hebdo to see that. Or indeed, against Jyllands-Posten. Denmark has a blasphemy law which prohibits the public ridicule of a religious community. Denmark’s blasphemy law is a criminal law, rather than a civil one. The committee of imams complained to the police that such a violation had occurred, but the outcome of the police investigation was that the cartoon publication would be protected by exceptions covering matters of public interest. What messages do such laws send? They suggest that religious insult is a matter for state supervision. Moreover, they imply that the bounds of public discourse should be determined by legislation, and that the proper response to offensive newspaper publications is to approach the police. No wonder the immediate appeal of the imams — and the foreign governments — was directed to the Danish government. Hate speech and blasphemy laws undermine the liberal firewall that exists between individual expression and the views of society as a whole. Once we have established the principle that the nation can prevent offensive speech, it is unsurprising that people blame the nation for having failed to prevent offence. Rasmussen’s response to the diplomatic protest stated that: The freedom of expression has a wide scope and the Danish government has no means of influencing the press. However, Danish legislation prohibits acts or expressions of blasphemous or discriminatory nature. The offended party may bring such acts or expressions to court, and it is for the courts to decide in individual cases. Pleading the fundamental right to freedom of expression simply looks false when blasphemy and hate speech laws are sitting on the statute books, waiting to be used. In the wake of the Charlie Hebdo massacre in January 2015, world leaders, foreign ministers, ambassadors and other dignitaries gathered in Paris to take a stand against Islamist violence. Linking arms they walked solemnly down a Parisian boulevard, looking as if they were leading the protest marches that had brought more than a million people onto the streets in Paris that day. In fact, this was an illusion: the famed photo-op was conducted in an otherwise empty and secure side-street, far away from the crowds. More egregious, and more suggestive, was the fact that many of the leaders who attended the protest apparently in defence of freedom of expression were in charge of countries that aggressively stifled expression at home. Take, for instance, Sameh Shoukry, the foreign minister of Egypt, marching at the very time that Al Jazeera journalists, including the Australian Peter Greste, were locked up in a Cairo prison. So too was the Russian foreign minister — envoy to a country that targets journalists and whistle blowers for criticising the government. Even Western, liberal leaders like David Cameron and Angela Merkel preside over laws that prohibit and punish hate speech. And Australia, of course, has section 18C of the Racial Discrimination Act. After the Charlie Hebdo killings Tony Abbott argued rightly that ‘from time to time people will be upset, offended, insulted, humiliated … but it is all part of a free society.’ Yet our legal system does not reflect this basic liberal principle. Speech laws, we have been told time and time again, play as much a symbolic role as a practical one; showing who we are as a nation, the language and sentiments we will not tolerate. Rose’s Tyranny of Silence is especially good when it contextualises the cartoon crisis in the long historical contest over individual liberty and dissent. As a journalist, he spent a great deal of time talking to Soviet dissidents who wanted the same sort of liberal freedoms enjoyed in the West. Many Muslims now want the same freedoms but are prevented from expressing their desire by a stultifying public sphere in Islamic countries and the aggressive political dominance of radical Muslim ‘spokesmen’ in the West. As Rose points out, Western liberalism’s weak and hesitating defence of free speech is not only a poor defence of its own values, but it abandons liberals in the Muslim world who are looking for alternative political paths. There are many human rights activists in the Muslim world crying out for the liberties which we now bargain away in the mistaken name of ‘toleration’. Defending freedom of expression is not some academic preoccupation. It is fundamental to our idea of ourselves — to our liberties, and ultimately, to our civilisation. Every country has national myths and legends — vague memories of the past that add up to a sense of national identity. For Australia, think Gallipoli, the union strikes of the 1890s, the austerity of the Great Depression, and soon. This populist historical awareness has practical consequences. How Australians understand, for instance, the causes and significance of the Great Depression has shaped how they understand the modern economy. There is a good case that Kevin Rudd and Wayne Swan were driven in 2008 by a fear of becoming James Scullin, the Depression-era Labor prime minister whose economic failings made his a one-term government. Likewise, the place of Gallipoli in the national mindset is an ongoing contest that implicitly relates to our modern debates about foreign policy, our alliances, and military commitments. History matters, not just for its own sake but for the way it reflects back to the present. We are constantly looking for our origins, in the hope they will somewhat hint at our future. In July 2015, the IPA released a major report, The End of History … in Australian Universities. The goal was to understand how history is understood by looking at what academic historians pass on to the next generation. Few undergraduate history students go on to be academic historians, of course. But many become secondary school history teachers, and the rest constitute a cohort of formally trained historians, regardless of whether they practice the profession of history writing and research after graduation. Underpinning this report was our creation of the first complete database of history subjects taught at the undergraduate level in Australian colleges and universities in 2014 — all 739 subjects, taught at 34 separate institutions. We categorised the subjects according to their geographic focus, the historical period they looked at, and their ‘theme’. Indeed, this is something that the historical profession itself should be, and has been, interested in. Our research was based substantially on the work of a report last published in 2004 by the Australian Historical Association (AHA). The categories were largely theirs, and the notion of a traditional canon was likewise derived from the AHA. Thus we could make some useful comparisons not just about the state of undergraduate history today, but how it has changed. Our most dramatic finding was that out of 739 undergraduate history subjects, there were just fifteen that specifically focused on British history. Those fifteen subjects were spread between just ten different institutions. In other words, there are 24 history faculties in Australia that do not offer any British history to undergraduates. This is quite striking. It is not an exaggeration to say that the institutions that make Australia what it is today were imported wholesale from Britain. We inherited our liberal democracy, our market economy, our emphasis on individual rights, the common law, and our public ethic of toleration from Britain. What institutions we did not directly get from Britain we adopted from other British colonies — for instance, Australian federalism was modelled on the American and Canadian examples. Yet British history is in precipitous decline in Australian undergraduate history faculties. So what has replaced it? For a long time undergraduate history subjects have tended towards specialisation. Rather than broad, ‘survey’ overviews of historical periods of nations and civilisations, even many first year subjects direct their focus to narrow, thematic topics. For instance, it is common to find the history of human rights, or environmental history, or genocide. To be certain, many survey subjects remain. But the era of systematic historical undergraduate knowledge is largely over. More universities teach popular culture than intellectual history. Film history is offered at more universities than British history. Specialist subjects are necessary and valuable. Indigenous history is important. The history of gender and sexuality matters. The history of film is fascinating. But is it proportionately more important than Australia’s institutional history? British history is worth dwelling on for no other reason than its role in the establishment of Australian institutions. Its absence says perhaps less about the interests of students and teachers at universities than about the way we understand the role of the history and our relationship to the past. Some clue to this is found in the fact that history courses were overwhelmingly dominated by subjects on twentieth century history. Of 739 subjects, 308 focused on the twentieth century. Just 189 covered the later modern period, which we define as 1788 to 1900. Indeed, if we exclude ancient history subjects, which in many institutions are offered in separate courses, then there are more discernibly twentieth century subjects than the rest of the historical periods combined. One of the most influential books in the study of history was published by the University of Cambridge historian Herbert Butterfield: The Whig Interpretation of History, published in 1931. Butterfield’s book — more of an essay — is often cited but rarely read. Butterfield criticised what he called ‘Whig history’, which, as it has come to be popularly understood, implicitly depicted history as a series of progressive advances giving us the world we are today. The Whig Interpretation of History is stirring polemic but it sparked a small cottage industry of work which has been trying to determine the specific nature of this Whig history that Butterfield wished to avoid. For instance, the only ‘Whig’ historian he mentioned was the conservative Lord Acton. In fact, Butterfield’s argument was much bolder. He is critical of all history that interprets the past in the light of the present. He is critical of abridgement and short-cuts in historical narrative — indeed, in Butterfield’s opinion the more history is condensed for the reader’s benefit, the more Whiggish it inevitably becomes. It is hard to disagree with the claim that historical events should be understood in their own context, as they were understood at the time and, at least ideally, without importing anachronistic frames of reference from our own age. Yet Butterfield flirts with the notion of history as being almost entirely disconnected from contemporary concerns. The historian should look for discontinuities. The study of history is the practice of alienating oneself from the present, searching for distances, not closing gaps. By empiricism, Poe means the commitment to sources and evidence on which historians rest their judgment. Neutrality refers to research objectivity — in practice, an ethical ideal to strive for. Of the three, discontinuity has the most significance. The lesson here is that there are so many differences between our time and the past, that to compare the present to the past is to mislead. For instance, in our book Magna Carta: the Tax Revolt that Gave us Liberty, we describe the complex mixture of thirteenth century fees and charges and financial payments between vassals and lords and barons and kings, as taxes. It might be said, as indeed some historians have said, that such a description is anachronistic. To call these payments ‘taxes’ is to apply modern ideas about citizen-government fiscal relations in an era where they not apply. In thirteenth century England, the state did not levy taxes for public goods. Yet acknowledging the conceptual distinctions between tax in our time and the network of levies and charges of eight hundred years ago does not preclude us from identifying relationships between our system and the past, and between medieval England and other medieval societies. A more radical position which can be drawn out from Butterfield’s anti-Whig philosophy is a rejection of the notion of ‘origin’ stories in history. When discussing the Magna Carta, perhaps more consequential generalisation concerns the origins of parliament. One Chapter in the Magna Carta prohibited the king from imposing ‘scutages’ and ‘aids’ without the common counsel of the kingdom. Over time, this evolved into parliamentary control over taxation. But in its specific, discontinuous context it does not. Is it right to say that this was the origin of parliament as we know it today? There were so many specific and diverse inputs into the evolution of parliament that perhaps to do so is an anachronistic and ahistorical confusion, imposing categorisations where none can apply. Butterfield clearly did not hold fully to the philosophy expressed in his most famous book. One of his other books was titled The Origins of Modern Science. But the approach he counselled — to seek alienation to understand the past — has, it seems, left its mark. While it is true that much university history teaching is about the acquisition of profession skills — assessment of evidence, scholarly writing and so forth — the bulk is about passing on knowledge of history. And while professional historical practice does require the historian to try to place themselves in a world different to their own, the task of teaching history is different from ‘doing’ history, just as expression is different to thought. We do not make the world anew every generation. Our institutions, our ideas, our attitudes, our culture, are all historical, in that they are derived from the past, but are not of the past. If every past culture is alien — if the discontinuities of the past outshine all else — it might seem of no consequence whether British history is taught or not. But the historian lives in the present. History students live in the present. We are interested in history because of the present. Origins matter. The anniversary of the First World War has sparked a broad cultural conversation in Australia about the meaning of Australia’s participation in that conflict, the Anzac legend, and the nature and symbolic representation of Gallipoli. That conversation is happening in public. When young people flock to the Dawn Service or travel to that famous Turkish peninsula, they are participating in a debate about the meaning of Australia’s past. And when 49 per cent of Australians between 18 and 29, when asked by the 2015 Lowy Institute poll, cannot agree that democracy is preferable to any other form of government, they are implicitly engaged in a dialogue with Australia’s liberal democratic past, where those liberal democratic institutions came from, and the value we put on them. There are reasons to be optimistic. The popularity of history in our bookshops, the engagement with the Anzac tradition, and the increasing localised historical awareness (symbolised by the explosion in family histories) shows an Australian public desperate to understand their roots. The history profession is keenly aware of this popular demand. Yet that demand is about origins, not discontinuities. As Edmund Burke wrote, ‘People will not look forward to posterity who never look backward to their ancestors.’ But then again Burke was, as A.J.P. Taylor put it, a corrupt ‘Whig hack’. this common worker implored the IPA’s Editorial Committee. …These subjects are only baits and scares for ignorant workers. Jargon such as this does not offer us one iota of economic security except at the expense of some other of our class. Do you wonder why we strike? Why we are tempted by socialism? 98 per cent of us dread Stalinist dictatorship, but under communism that little devil [economic insecurity] would not be always just lurking round the corner. There was a little dare at the end of the letter. P.S.—I wonder if you are game to print this in the IPA Review. … in the Soviet Union, security of employment has been purchased at a very high price — at the price of freedom. Soviet Russia has abolished unemployment by enslaving the workers. Russia offers far less real security for the average man and woman than the democracies. Under the “Stalinist dictatorship” there are secret police, concentration camps and forced labour groups, and over all the iron hand of the Communist bureaucrats to decide where you work, what your wages are, and what goods you can buy. From its founding in 1943, more than any other organisation in Australia, the IPA understood the relationship between economic control and political control. During the IPA’s first few decades, staff went on study tours around the world, including behind the iron curtain, to investigate global trends in political economy. The IPA collected information and travel reports concerning the progress and problems of the Soviet economy. One document in the IPA’s archives reported that the ‘whole country is in a strait jacket … it is an insolent hoax to refer to Russia as a democracy’. They did this because for the IPA’s first few decades, the Soviet Union was not just a geopolitical competitor to the free world, but an intellectual competitor — a competing economic model that many wanted to transplant, at least in part, to Australia. The Second World War brought with it a raft of regulatory controls, and economic activity was deliberately suppressed to make way for military production. While for the conservative side of politics this was a necessary wartime evil, Labor embraced the new regulatory state, seeing it as a stepping stone towards the ultimate goal of the nationalisation of industry. The entire debate about ‘postwar reconstruction’ was about whether wartime controls ought to be maintained into the peace. As Kemp wrote, Labor was using its position, and the war, ‘to erect a framework of widespread restrictions which it will endeavour to maintain and extend in the post-war period as a means of enforcing its policy of wholesale nationalisation of industry’. This was not hyperbole. Ministers in the Labor government were pushing hard for the government to ride the public acceptance of controls during war into nationalisation during peace. Nationalisation was one of the core planks of Labor’s policy. They were amply backed up by the finest minds of the economics profession and bureaucracy. H.C. Coombs, then Director-General of the Department of Post-war Reconstruction, proclaimed that ‘decisions as to how labour, materials, equipment are to be used will be made or influenced increasingly by public authorities rather than individuals’. Yet conservative opposition to Labor’s regulatory and socialist agenda had collapsed when the Fadden government lost power in October 1941. This was the political gap in which the IPA was formed. Australia needed an organisation to build the intellectual case for the free society and against economic control. This debate was held in the shadow of the Soviet Union, where economic restriction had been taken to its logical and most tyrannical extreme. Yet in Australia, the Labor mainstream insisted widespread nationalisation and restrictions could be imposed while still maintaining Australian democracy. One could accept some parts of the Soviet model of socialism without accepting the other parts. But as Friedrich Hayek dramatically pointed out in his 1944 book The Road to Serfdom, any state that suppresses market freedom will inevitably be a tyrannical state. If the socialists were worried about the coercive power of monopolists under capitalism, well, the socialist state was ‘the most powerful monopolist conceivable’. It takes a great deal of coercion to suppress the natural human urge to trade freely. Constructing a planned economy takes even more. Many of Stalin’s crimes were committed in the process of forced agricultural collectivisation and industrialisation. This was the IPA’s earliest and most powerful message — that economic freedom and individual freedom are inextricably linked. Hayek’s writing deeply influenced the IPA’s first few decades. The IPA Review published an original and significant essay by Hayek, and when he visited Australia in 1976 as a guest of the IPA, the great Austrian reflected that the think tank had, as a result, ‘played a considerable role in the development of my writings’. The public does not realise that extensive and permanent Government control involves loss of personal freedom and the destruction of industrial democracy which must bring with it the end of the traditional democratic political system. The collapse of the Soviet Union in 1989 was sudden but it was the result of pressures building up within Russia and its empire for many years. The economic reforms brought about by Mikhail Gorbachev — for instance, the 1987 Law on State Enterprises, which devolved supply and demand decisions down to the level of each (state-owned) firm — went hand in hand with political reform and demands for further openness. The relationship between the opening of an economy and political reform would not have surprised Hayek, and did not surprise the IPA. An anthology of communist follies would do more than document absurdities. It would also remind us of the crucial role played in the long decades of the Cold War by people who have no literary or intellectual pretensions. No strategy, no policy of deterrence, no exposure of communist lies would have had a hope of success without the common sense, loyalty, phlegm and the straightforward idea of right and wrong of the ordinary man and woman. At its root, the Cold War was a battle for ideas. The most powerful idea — the idea which won the Cold War — was that which animated the IPA in its early days and still animates it today: that economic freedom and individual freedom are indivisible. Harm the former, and you inevitably harm the latter. Perhaps many do. But from this vantage point the political system has worked messily but as intended. Having promised in opposition to axe the tax, on 17 July 2014 the Coalition axed the tax. Against all odds, even. The showy last minute political games played by Clive Palmer made it look touch-and-go for a bit. Nevertheless, given the serious problems Australia has had in recent years about governments keeping their promises, the repeal of the carbon tax was a pretty good case of democratic function, not democratic failure. Taylor’s lament isn’t really that the political system has failed, per se; it’s that the political system has failed to achieve one specific goal — a legislatively driven programmed reduction in Australia’s carbon emissions. Of course that bipartisan goal of a five per cent reduction of carbon dioxide emissions from 2000 levels within the next six years ostensibly remains. But nobody thinks the Coalition’s Direct Action plan — an apparently un-ironic throwback to the days of corporatist industry policy, with taxpayers simply paying private companies to cut their emissions — will achieve that goal. The carbon tax has been a centrepiece for three elections. In 2007 John Howard followed the lead of the energetic Kevin Rudd and the Coalition announced its own emissions trading scheme. In 2010 Julia Gillard promised that there would be no carbon tax under the government she led. Instead, there would be a ‘citizens’ assembly’ into the evidence for climate change — possibly the most cringe-worthy idea in the history of Australian politics — with the eventual aim of introducing an emissions trading scheme at the end. Finally in 2013 Tony Abbott defeated a briefly resuscitated Kevin Rudd with a promise to abolish the very carbon tax Gillard had promised not to introduce. Buried in that potted history is a wealth of extraordinary drama, and nuance, and subtlety—real or imagined. We’ve had multiple formal emissions trading scheme proposals — including Kevin Rudd’s Carbon Pollution Reduction Scheme and Julia Gillard’s Clean Energy Future. We’ve had a host of government inquiries — most prominently those done by Peter Shergold under the Howard government and Ross Garnaut under the Rudd government. We’ve had a diverting but ultimately empty debate about the definition of a ‘tax’. When Kevin Rudd in 2013 announced that he was going to ‘terminate the carbon tax’ by moving it to an emissions trading scheme slightly ahead of schedule, those semantics of when a tax becomes a trading system became a parody of themselves. It is hard to over-emphasise the shift in the politics of climate change over the last five years. Throughout 2009 commentators and the press gallery urged the Coalition to join the carbon tax bandwagon. There were claims that the Coalition had not ‘learned the lessons’ of 2007 — a viable party had to embrace an emissions trading scheme policy. Today the emissions trading scheme is history and those who proposed it toppled from their leadership roles. For climate activists the task is now to regroup. Christine Milne proposed a ‘website of climate criminals’ that would include such names as Ian Plimer, Gina Rinehart, George Pell, Andrew Bolt, Martin Ferguson and the IPA’s John Roskam. This sort of name-and-shame is probably good politics for the Greens with their base, but it’s worth recalling that the Milne and her party voted against the Rudd government’s emissions trading scheme in 2009: they were on a joint ticket with Plimer, Rinehart, Pell, Bolt, Ferguson and the IPA. Damascus conversion and is now seen holding press conferences with Al Gore and being closely advised by Australia Institute staffer and former Greens chief of staff Ben Oquist. Palmer has forced the government to retain much of the infrastructure around the carbon tax — the Clean Energy Finance Corporation, for instance, but most gallingly the Renewable Energy Target. So the carbon tax is gone. But its associated policies are still in place — ineffective, wasteful, and unfortunately resilient. The Abbott government’s decision, announced in the first week of August, to abandon its promse to reform section 18C of the Racial Discrimination Act is one of the biggest setbacks for freedom of speech — and the cause of liberal reform — in some years. Not because the broken promise is highly consequential (although, obviously, it is that, as various section 18C cases have shown) but because it demonstrates just how hard it is to wind the clock back; just how hard it is to reverse the dilution of liberal freedoms. Throughout the debate over section 18C, the Institute of Public Affairs has maintained that freedom of speech is a fundamental liberty. The word ‘fundamental’ is not a rhetorical flourish. Speech is the expression of the deepest condition of individuality: that of thought. It is our thoughts — our preferences, our values, our beliefs, our ethical and moral principles — that set us apart from the collective. Being prevented from expressing those thoughts is an attack on our individuality. It suppresses difference in the interests of the group. Hence the significance of the Coalition’s 18C promise. The last few decades have seen a substantial growth in the number of limitations placed on the freedom of speech. Most iconic of these has been the increasing legislative enactment of the doctrine of ‘hate speech’. Each Australian jurisdiction (with the exception of the Northern Territory) has its own form of racial vilification laws. The Commonwealth Racial Hatred Act, that introduced section 18C in 1995, was, and remains, the preeminent anti-hate speech law in Australia. And the most stringent. It is worth recalling that the Andrew Bolt case was originally going to be launched in a Victorian court under Victoria’s anti-discrimination law. However, a decision was made that the plaintiffs would have more success under the Commonwealth’s section 18C. So repealing section 18C, or amending it in such a way that it was effectively neutered, as George Brandis’ exposure draft legislation would have done, would have been highly symbolic. It was not for nothing that the promise was the hook on which George Brandis hung what he described as the ‘freedom agenda’. When Tony Abbott gave the original promise to repeal section 18C in its current form at an Institute of Public Affairs event in 2012, his speech was titled ‘the freedom wars’. Abbott’s oratory was stirring. The Coalition would be ‘freedom’s bulwark’ in government. Abandoning the section 18C promise was not like abandoning any other election promises in the usual way that new governments do. A bulwark is supposed to provide protection. So there is a heavy degree of irony that the announcement that section 18C would remain on the books came in the middle of a press conference on national security reforms. Section 18C was, in the words of the prime minister, ‘a complication’ that put ‘national unity at risk’. In this case the government was quite literally trading liberty for security. It was to drop its promise to restore freedom of speech in the hope it would encourage Muslim communities to assist it with anti-terror measures. As a political tactic, this is a somewhat strange. Australia’s Muslim leaders did not hesitate to condemn some of the new proposals that they believed targeted Muslims unfairly. The government’s ‘trade’ didn’t survive more than a few hours. Does the Government believe there are community leaders whose commitment to their fellow citizens and the values of a civilised society is so weak they will not co-operate in preventing terror and murder if Section 18C is repealed? If that is the case we really do have a problem. Let us hope our anti-terrorism strategy does not really hinge on this legislative quid-pro-quo. But more critically: what does it say about Australia if a political party elected on a platform of ‘freedom’ — they used the word liberally — drops that platform as a bargaining chip for national security laws? Such laws are, after all, supposed to protect the liberties which have been discarded. The case for repealing section 18C is as strong as it ever was. Support for substantially amending it — ranging from simply deleting the words ‘offend’ and ‘insult’ from the act to outright abolition of the section 18C — was found across the political spectrum. The Age, the Saturday Age, the Australian, the Herald Sun, and the Courier Mail editorialised against section 18C. Yet here we are. In the end change has to be fought through the parliamentary system. There will be future cases under section 18C. The section is a very real constraint on our most fundamental liberty. Hopefully future governments will take the freedom of speech challenge seriously. Bullying among children is a serious problem. At its tragic worst it can lead to suicide. But it is a serious social problem, not a technological one. Earlier this year, the Coalition government released a discussion paper ‘Enhancing Online Safety for Children.’ The proposals contained within the discussion paper have been drafted with the intention of tackling cyberbullying — that is, bullying using digital technology. Unfortunately they will do nothing to solve the bullying problem. And, by establishing a ‘Children’s e-Safety Commissioner’ with powers to take down material from social media websites, it will increase government control over the internet and clearly threaten free speech. The discussion paper outlines three key measures the government aims to implement to address cyberbullying: the establishment of the Children’s e-Safety Commissioner; developing an effective complaints system, backed by legislation, to get harmful material down fast from large social media sites; and examining existing Commonwealth legislation to determine whether to create a new, simplified cyberbullying offence. The measure of a society’s commitment to political freedom is the extent of its willingness to respect the right of every one of its citizens to express their views, no matter how offensive, unattractive or eccentric they may seem to others. The proposed establishment of an e-Safety Commissioner is not a policy that lives up to Brandis’ high-minded rhetoric. Indeed the proposal moves Australia in precisely the opposite direction. If the Coalition’s e-safety policy is implemented, this government will be doing more to restrict free speech than it is to defend it. Several concepts used in the discussion paper are ambiguous. The term ‘harm’ is itself a term that describes a broad range of conduct, from the very serious to the trivial. Whenever the basis of a bureaucratic power is vague it gives discretion to public servants. In the case of the e-safety commissioner, it means that none of us can be sure whether we’ll be censored for something we say online. The proposed regime carries some very serious risks. The commissioner will not be infallible. There will be mistakes, and content that should never have been taken down will be removed by the government. We’ve seen this before. In June last year, the Australian Securities and Investments Commission admitted that it had accidentally blocked 250,000 websites in an attempt to tackle online scams. Those who cannot remember the past are condemned to repeat it. The risk of inadvertent removal of material is serious. But perhaps even more concerning is the idea that the government should grant itself this kind of power at all. It’s not the role of government to judge what is and is not acceptable social discourse. Those important decisions must be reserved for rational, free individuals. And like any government initiative there is the risk of scope creep. What starts as a small censorship regime grows into a large censorship regime. In a liberal democracy there is only one acceptable level of censorship: none. On the flip side, it will be impossible for the e-Safety Commissioner to protect children from all cyberbullying. Lines have to be drawn somewhere. And wherever the government creates that threshold there are going to be children who will be the subject of bullying that is not caught by the government’s cyberbullying regime. Additionally, no matter how carefully this policy is implemented there will be cases where the commissioner will fail to remove legitimately harmful material. Of course, that won’t stop parents from trusting that the government is putting an end to cyberbullying. Governments love to pretend they have everything under control. And many parents will trust that the commissioner has covered the field. But the risk is that the existence of this program provides a false sense of security. Parents will rely on the government to protect their children. This attitude is instinctive — the government is taking more responsibility so I don’t need to take as much. This attitude has a dramatic impact on consumer behaviour. Parents who rely on the e-safety commissioner no longer direct capital towards free market answers to cyberbullying. This outcome is a direct result of the government intervening in an area where government action is unnecessary. Implementing a government-run online safety program creates perverse incentives that lead to fewer privately developed solutions. There are a very broad range of tools available to parents, teachers and schools which can assist in effectively targeting cyberbullying. Twitter, LinkedIn, Pinterest, Google+, and other social media sites likely to come under the purview of the government’s commissioner have all developed similar policies. Distinct from internal reporting tools, there is also a growing range of anti-cyberbullying software available to parents. The number of programs available is impressive. They range in scope, complexity, format and price, and can provide a remarkable amount of parental control.‘CyberSynchs’ is an application that identifies bullying and other inappropriate behaviour, and then sends a report to parents. Trend Micro’s ‘Online Guardian’ allows parents to monitor their children’s social media traffic for pre-programmed key words and phrases. There are hundreds of these products currently available. And more are being developed all the time. Primary and secondary schools also install filters at the network level. These are the solutions that are available to parents seeking to protect their children from cyberbullying. There are also a number of existing legal remedies that cover the same or similar conduct as that targeted by the government under the e-safety policy. Violent threats; menacing, harassing or offensive conduct online; stalking; and unauthorised access to accounts are all criminal offences. The truth is that cyberbullying is bullying. It’s awful. It’s damaging.But cyberbullying is no more or less a problem than run-of-the-mill playground bullying. The same approach should be used for both. Parents are more in tune with the emotional disposition of their own children. They know better than any government-appointed commissioner how their child will react to incidents of bullying, and they know best how to deal with it. Parents are the best anti-bullying advocates their children will ever have. The proposed Children’s e-Safety Commissioner is a policy born of lliberalism. It patronises parents, and it infringes freedom of speech. The government should not proceed with its e-censorship proposal. Chris Berg is one of Australia’s most prominent voices for free markets and individual liberty, and a leading authority on over-regulation, economic freedom and civil liberties. He is a Senior Research Fellow at the RMIT Blockchain Innovation Hub, at the School of Economics, Finance, and Marketing. He is also Board Member of the Worldwide Blockchain Innovation Association, an Adjunct Fellow with the Institute of Public Affairs, an Academic Fellow with the Australian Taxpayers’ Alliance, and is on the Academic Board of the Samuel Griffiths Society.